Hardly, it's a logical continuity of their product. They noticed their Alexa XT M despite being separated from the main body in a smaller form factor could hardly be taken in a helicopter. Most movies (such as James Bond Skyfall) used Alexa primary but were forced to switch to RED when they needed some difficult aerial shot to achieve. The coming of MOVI and the new era of stabilizer were also requiring a new kind of camera. It was that or they would have let RED take over the market. 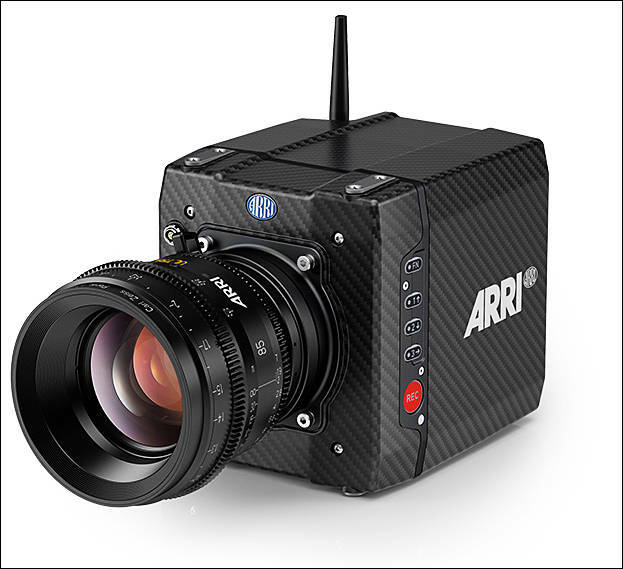 I bet much more movies are going to be shot in 3D with ARRI now. That's exactly what I was thinking....perfect camera for 3D rigs. Interested in the multi-cam recorder as well. I think these will both go on my rental list for projects with a budget. Unfortunate for RED, but ARRI seems to be cleaning up in the movie industry. Is it me, or fact, that when RED arrived, they really upset a few apple carts, but slowly and surely the old boys caught up and overtook them. I don't profess to know which is ultimately the better camera, but the industry would appear to be speaking with their feet. @wordsofpeace I think Red might be capable, they just seem to put too much stock in the wrong things. Mainly resolution and specs on paper, versus color/mojo, and ease of workflow. People laughed at C300 when scarlett was announced. Canon C300/100 line seem kinda meh on paper, but deliver a nice image out of camera with an easy to use codec with the c300. Same with Arri and Pro Res vs R3d. That matters when time is short. Also, mojo/"the look" will always beat specs. Check out this incredible article by Film + Music Magazine where they interviewed Casey and Danielle, the team behind Mindcastle's "Balloonist." They also have an even more amazing video with the Alexa Mini called "The Journey"
I know it has same sensor as alexa, but from what i have seen something is missing (compared to original alexa) , maybe its just my eyes .